2. Select the Prota from the bottom section (upgradable Prota OS). 3. Proceed with the update. 4. When the update is done, the status on Prota Space should change to "Go". 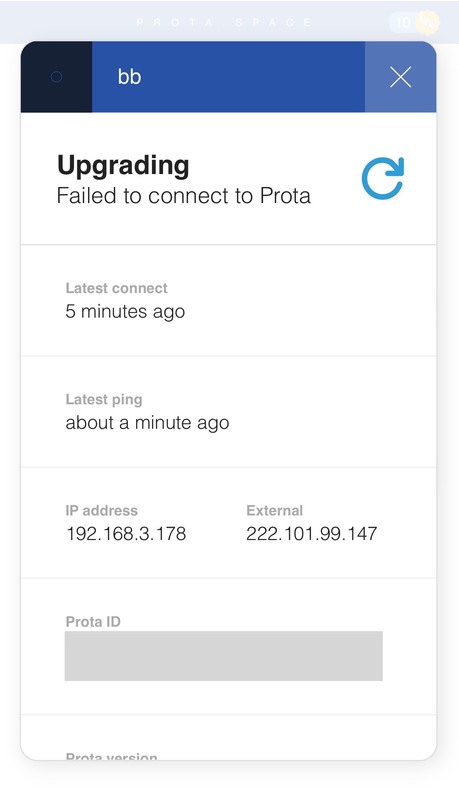 * Prota may get stuck during an update due to various network issues. In this case, just reboot your Prota (without resetting) and try again in a few minutes. * Special tip: use Stories to get a notification! "When there is an available version to upgrade, email myself to be notified." 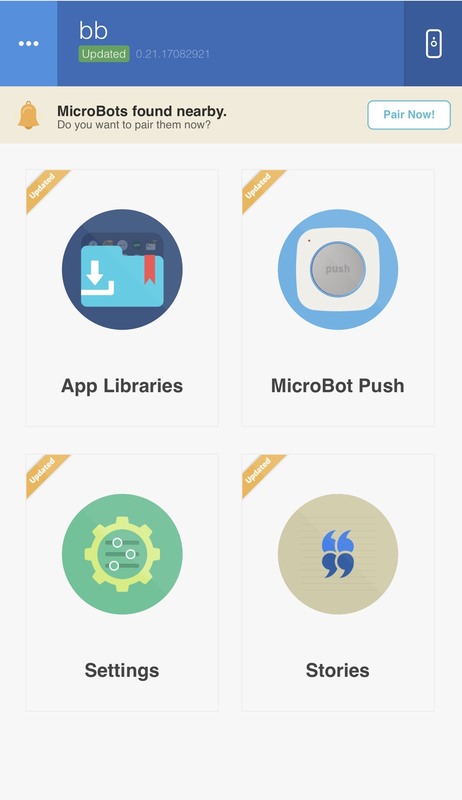 We try to update as often as possible our OS and apps to ensure a perfect user experience free of bugs and add new useful features, so it’s better to keep your Prota up-to-date to enjoy all this. Some apps may require the update to keep working. 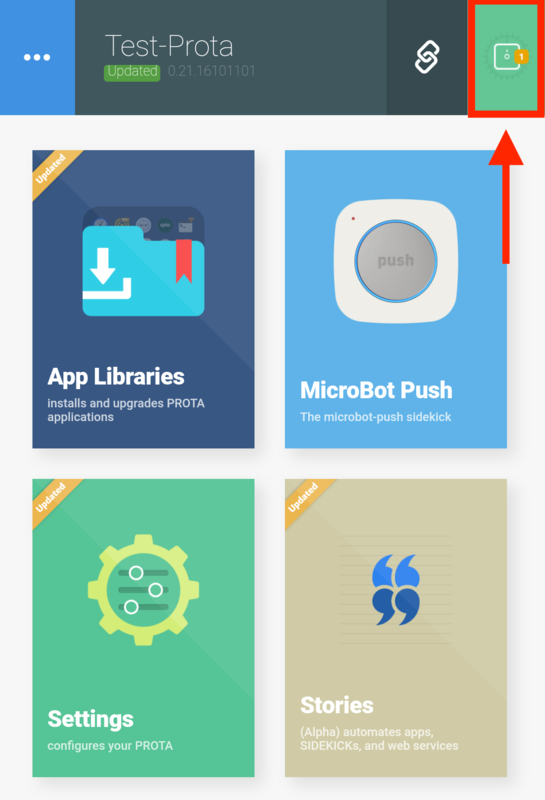 When your Prota is up-to-date, you will see a small icon "UPDATED" under its name in the Home Screen. When a new update is available, you will see an icon in the top right corner of the Home Screen page, which will directly redirect you to the settings page.